The essential phone is no doubt one of the greatest smartphones released this year, but one of the low points of the smartphone has been in the camera aspect. 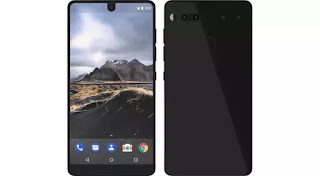 The good thing is that essential has continued to try and improve the camera quality of the essential phone through multiple software updates. In the previous update, Essential added support for Facebook Live 360 streaming support to its 360 Camera module. Now the company has decided to update it's default camera app. The latest update comes with two new added features which are YouTube Live 360 support for the Essential 360 Camera and the option to broadcast Facebook Live 360 on a Facebook page. For essential phone owners, you can head over to the Google Play Store and download the latest updated version of the camera App. Remember that this is a beta version so it's prone to bugs and probably instability.